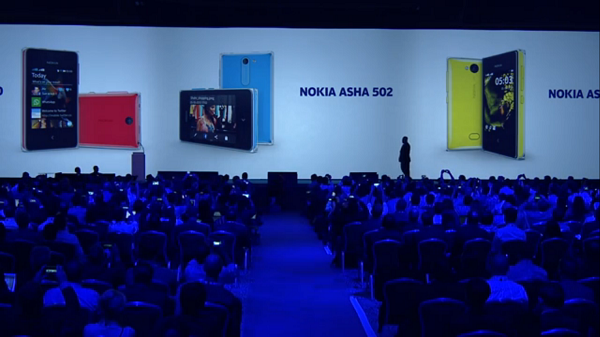 New Asha phones have been revealed at Nokia World 2013. The Asha 500 502 and 503, will feature new camera improvements using the current Swipe technology. This allows users to take pictures and operate the camera the same way they would use the rest of the phones features: by swiping left and right on the screen. Users will also be able to share pictures on social media by swiping on captured pictures, as is expected on modern smartphones. Nokia also revealed that Whatsapp will be making its way to the low cost devices beginning next month. The Asha Fastlane is also getting an upgrade. Fastlane is Nokia’s solution to notifications on the original Asha 501. It displays updates on social media, email, calls and other apps installed on the phone. The update will allow users to customise what notifications they want to see. The Asha 500 will cost US$69 and come in both a single and dual SIM configuration. It will be released in Africa, Asia Pacific, Europe, the Middle East, and Latin America this quarter. The Asha 502 will cost US$89 and comes in a dual SIM configuration. It will be released in Africa, Asia Pacific, Europe, and the Middle East this quarter. The Asha 503 with a 5mp camera and 3G connectivity will cost US$99. It comes in both a single and dual SIM configuration. Nokia will introduce it to Africa, Asia Pacific, Europe, and the Middle East this quarter.